Photo Gallery #66: Click edit pencil to get the selected gallery name. 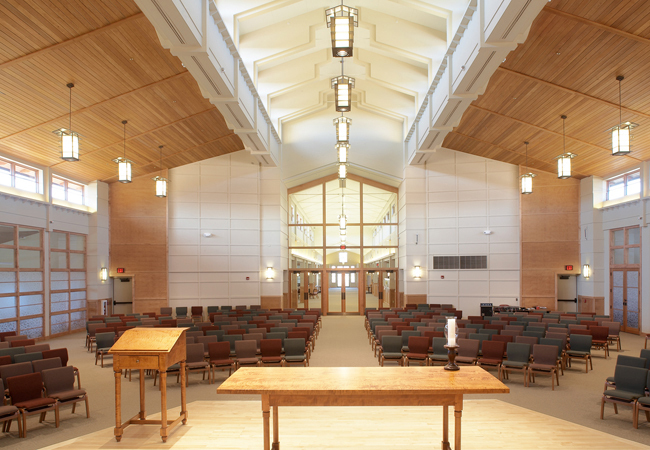 Project: Redeemer UCC Church, Sussex, Wis.
Fixture: A “custom” fixture was created for this Wisconsin church by utilizing many components from the standard “Greene” series. The stock extruded frame is accented by decorative plates and a roof that echoes the ceiling shape. Compact fluorescent lamps provide general illumination while quartz halogen supply ample light below. Photo: ©The Kubala Washatko Architects, Inc.